Reference: Andres (1985), J.L.Barnard (1961, 1971), K.H.Barnard (1916, 1930), Beermann et al. (2018), Birstein & Vinogradov (1958), Coleman (1990, 1994), Coleman & Lowry (2014), De Broyer & Klages (1991), d’Udekem d’Acoz et al. (2017), Griffiths (1977), Gurjanova (1972), Hurley (1957), Ishimaru (1994), Ledoyer (1986), Lörz (2008, 2009, 2011, 2012), Lörz & Coleman (2001, 2009, 2014), Lörz et al. (2007), McCain (1971), Nagata (1963), Shimomura & Tomikawa (2016), Varela & García-Gómez (2015), Verheye et al. (2018), Wakabara & Serejo (1999), Walker (1906), Watling (1981), Winfield et al. (2012); WoRMS (access date: 31-VIII-2018). — Barnard, J.L. 1961. Gammaridean Amphipoda from depths of 400 to 6000 meters. Galathea Report, 5: 23–128. — Barnard, J.L. 1971. Gammaridean Amphipoda from a deep-sea transect off Oregon. Smithsonian Contributions to Zoology, 61: 1–86. — Barnard, K.H. 1930. Crustacea. Part XI. — Amphipoda. British Antarctic ("Terra Nova") Expedition, 1910, Natural History Reports, Zoology, 8: 307–454. — Barnard,J.L., G.S. Karaman 1991. The families and genera of marine gammaridean Amphipoda (except marine gammaroids). Records of Australian Museum supplment 13, part 1,2, 866p. — Bousfield, E.L., E.A. Hendrycks 2002. The talitroidean amphipod Family Hyalidae revised, with emphasis on the North Pacific Fauna: Systematics and distributional ecology. Amphipacifica, 3(3): 7–134. — Coleman, C.O. 1990. Two new Antarctic species of the genus Epimeria (Crustacea: Amphipoda: Paramphithoidae), with description of juveniles. Journal of the Royal Society of New Zealand, 20: 151–178. — Coleman, C.O. 1994. A new Epimeria species (Crustacea: Amphipoda: Epimeriidae) and redescription of three other species in the genus from the Antarctic Ocean. Journal of Natural History, 28: 555–576. — Coleman, C.O. & J.K. Lowry 2014. Epimeria rafaeli sp. nov. (Crustacea, Amphipoda, Epimeriidae) from Western Australia. Zootaxa, 3873 (3): 218–232. — De Broyer, C., M. Klages 1991. A new Epimeria (Crustacea, Amphipoda, Paramphithoidae) from the Weddell Sea. Antarctic Science, 3 (2), 159–166. — d’Udekem d’Acoz,C., M.L. Verheye 2017. Epimeria of the Southern Ocean with notes on their relatives (Crustacea, Amphipoda, Eusiroidea). European Journal of Taxonomy, 359: 1–553. — Hirayama, A. 1986. Taxonomic studies on the shallow water gammaridean Amphipoda of West Kyushu, Japan — Ⅵ. Lysianassidae (Orchomene), Megaluropus family group, Melitides (Cottesloe, Jerbarnia, Maera, Ceradocus, Eriopisella, Dulichiella). 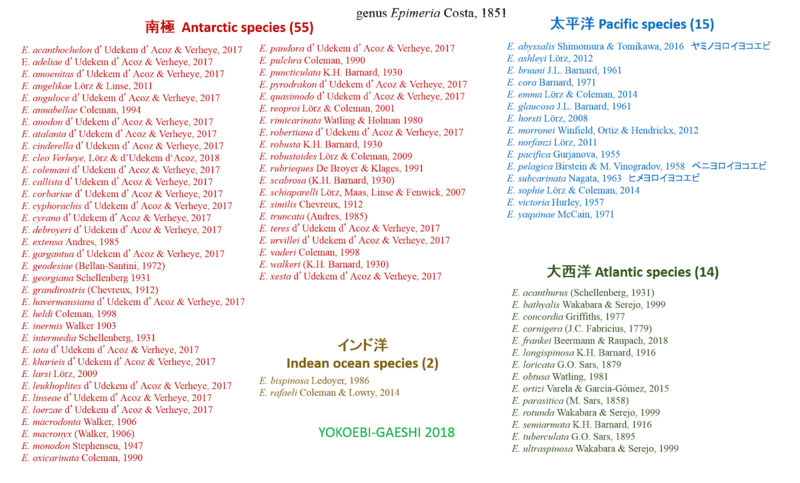 Publications of The Seto Marine Biological Laboratory, 31(1/2): 1–35. — Hurley, D.E. 1957. Some Amphipoda, Isopoda and Tanaidacea from Cook Strait. Zoology Publications from Victoria University College, 21: 1–20. — Ishimaru, S. 1994. 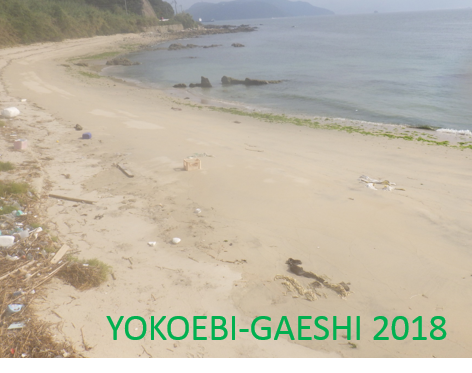 A catalogue of gammaridean and ingolfiellidean Amphipoda recorded from the vicinity of Japan. 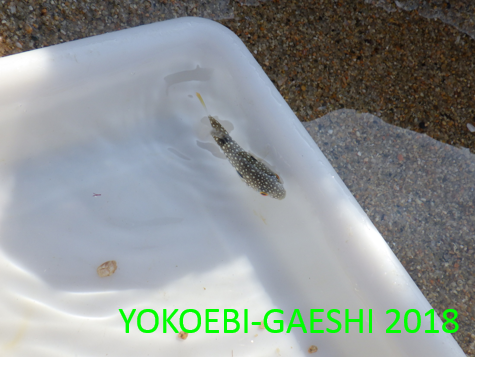 Report of the Sado Marine Biological Station, Niigata University, 24: 29–86. — 小関恒雄・山内峻呉 1964. 水中死体の水生動物による死後損傷. 日本法医学雑誌, 18 (1): 12–20. — Ledoyer, M. 1986. Crustacés Amphipodes Gammariens. Familles des Haustoriidae Vitjazianidae. Faune de Madagascar, 59: 599–1112. — Lörz, A.-N. 2008. Epimeriidae (Crustacea, Amphipoda) from New Zealand with a description of a new species. Zootaxa, 1847: 49–61. — Lörz, A.-N. 2009. 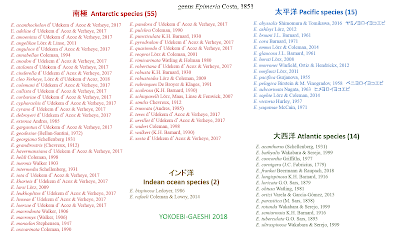 Synopsis of Amphipoda from two recent Ross Sea voyages with description of a new species of Epimeria (Epimeriidae, Amphipoda, Crustacea). Zootaxa, 2167: 59–68. — Lörz, A.-N. 2011. Pacific Epimeriidae (Amphipoda: Crustacea): Epimeria. Journal of the Marine Biological Association of the United Kingdom, 91: 471–477. — Lörz, A.-N. 2012. First records of Epimeriidae and Iphimediidae (Crustacea, Amphipoda) from Macquarie Ridge, with description of a new species and its juveniles. Zootaxa, 3200: 49–60. — Lörz A.-N., C.O. Coleman, 2001. Epimeria reoproi n. sp., a new amphipod (Epimeriidae) from the Antarctic. Crustaceana, 74: 991–1002. — Lörz A.-N., C.O. Coleman, 2009. in: Lörz, A.-N., E.W. Maas, K. Linse, C.O. Coleman 2009. Do circum-Antarctic species exist in peracarid Amphipoda? A case study in the genus Epimeria Costa, 1851 (Crustacea, Peracarida, Epimeriidae). Zookeys, 18: 91–128. — Lörz A.-N., C.O. Coleman 2014. Amazing new Amphipoda (Crustacea, Epimeriidae) from New Zealand’s deep-sea. Zootaxa, 3838 (4): 423–434. — Lörz, A.-N., E.W. Maas, K .Linse & G.D. Fenwick, 2007. Epimeria schiaparelli sp. 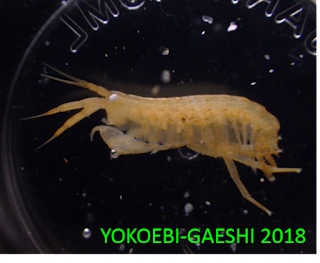 nov., an amphipod crustacean (family Epimeriidae) from the Ross Sea, Antarctica, with molecular characterisation of the species complex. Zootaxa, 1402: 23–37. — McCain, J.C. 1971. A new deep-sea species of Epimeria (Amphipoda, Paramphithoidae) from Oregon. Crustaceana, 20 (2): 159–166. — Nagata, K. 1960. 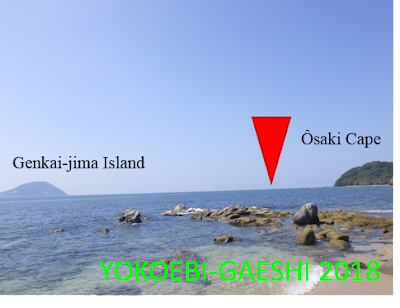 Prelimitary notes on benthic gammaridean Amphipoda from the Zostera region of Mihara Bay, Seto Inland Sea, Japan. 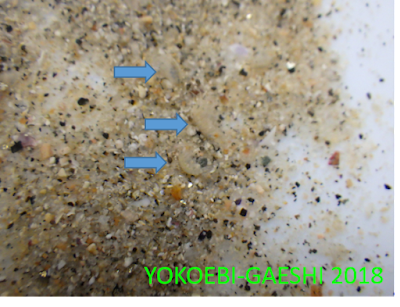 Publication of the Seto Marine Biological Laboratory, 8(1): 163–182. pl. ⅩⅢ–ⅩⅦ. — Nagata, K. 1963. 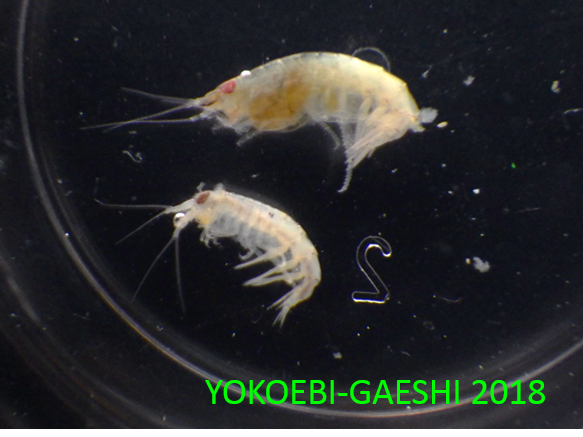 Two new gammaridean amphipods (Crustacea) collected by the second cruise of the Japanese Expedition of Deep Sea (JEDS-2). Publications of the Seto Marine Biological Laboratory, 11(1): 1–5. — Nagata, K. 1965. Studies on marine gammaridean Amphipoda of the Seto Inland Sea. I. 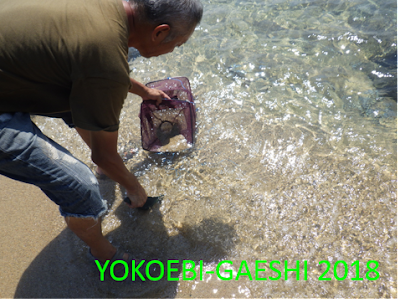 Publication of the Seto Marine Biological Laboratory, 8(2): 131–170. — 永田武明・福元孝三郎・小嶋亨 1967. フトヒゲソコエビ及びウミホタルによる水中死体損壊例. 日本法医学雑誌, 21(5): 524–530. — 小原ヨシツグ 2017.『ガタガール②』. 講談社, 東京. 229p. — Schellenberg, A. 1926. Die gammariden der Deutschen Südpolar-Expedition 1901-1903. Deutsche Südpolar-Expedition, 18. Zoologie, 10: 235-414. — Shimomura, M., K. Tomikawa 2016. Epimeria abyssalis sp. n. from the Kuril-KamchatkaTrench (Crustacea, Amphipoda, Epimeriidae). ZooKeys, 638: 125–142. — Takada, Y., K. Sakuma, T. Fujii, S. Kojima 2018. 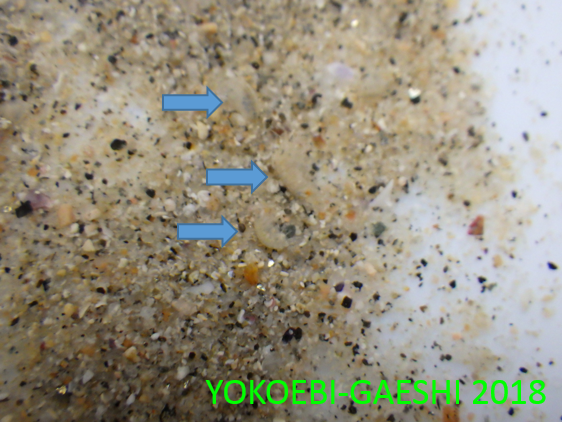 Phylogeography of the sandy beach amphipod Haustorioides japonicus along the Sea of Japan: Paleogeographical signatures of cryptic regional divergences. Estuarine, Coastal and Shelf Science, 200: 19–30. — Tomikawa, K., T. Nakano 2018. 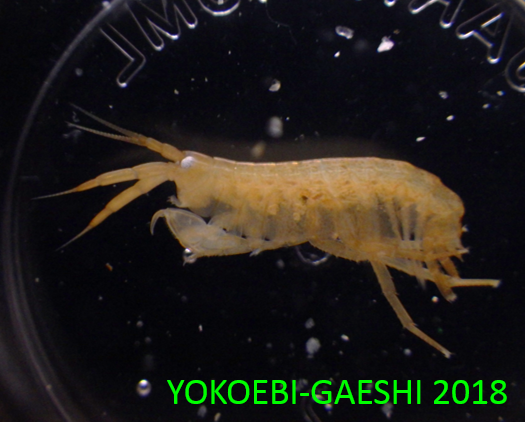 Two new subterranean species of Pseudocrangonyx Akatsuka & Komai, 1922 (Amphipoda: Crangonyctoidea: Pseudocrangonyctidae), with an insight into groundwater faunal relationships in western Japan. Journal of Crustacean Biology, ruy031. — Varela, C., J. García-Gómez, 2015. Especie nueva de Epimeria (Amphipoda: Epimeriidae) del Golfo de México y el Mar Caribe. SOLENODON, 12: 1–8. — Verheye, M.L., A.-N. Lörz, C. d’Udekem d‘Acoz 2018. Epimeria cleo sp. nov., a new crested amphipod from the Ross Sea, Antarctica, with notes on its phylogenetic affinities (Crustacea, Amphipoda, Eusiroidea, Epimeriidae). Zootaxa, 4369(2). — Wakabara, Y., C.S. Serejo 1999. Amathillopsidae and Epimeriidae (Crustacea, Amphipoda) from bathyal depths off the Brazilian coast. Zoosystema, 21: 625–645. — Watling, L. 1981. Amphipoda from the northwestern Atlantic: The genera Jerbarnia, Epimeria, and Harpinia. Sarsia, 66: 203–211. — Winfield, I., M. Ortiz, M.E. Hendrickx, 2012. A new deepwater species of Epimeria (Amphipoda: Gammaridea: Epimeriidae) from the continental slope of western Mexico. Journal of the Marine Biological Association of the United Kingdom, 93, 991–997.